We all had these instances when we wondered, “Why am I learning this?” We were then either told that we had no choice, or that that there were benefits to learning that material that we couldn’t see right now. One of these must have seemed reasonable, because you continued on. We then get to university, where the classes are more varied, yet we still have to take certain ones. Hopefully by this point you like the program that you’re in, so this doesn’t seem as bad. My question to you is this. Have you ever decided to learn something despite it not being a part of a class? Did you ever decide to learn something just because you were curious? If the answer is “no”, I encourage you to ask yourself why you haven’t. I’m sure that there must have been something that piqued your interest at one point. Why didn’t you follow up on it? The point I want to get at here is that, now more than ever, we don’t need permission to learn something new. Sure, what you’re curious about might not be on the test in class. It might be unrelated. But you’re curious, aren’t you? That’s enough, and it’s why you need to learn on your own. 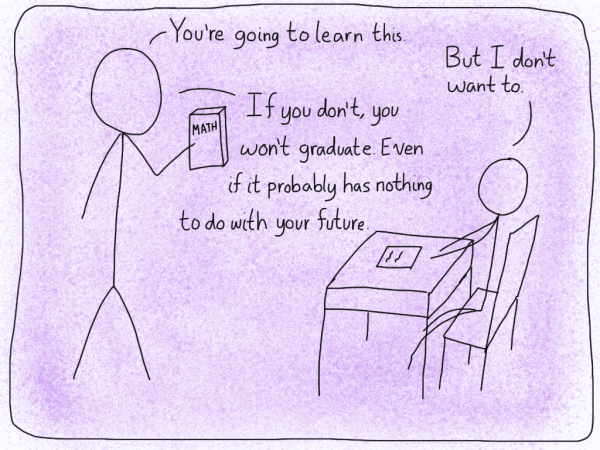 This doesn’t tend to be an instinct, because our education system doesn’t prepare us for this. From the get-go, we’re told what to study. Forget about everything else, it’s not as important to you. Focus on what you need to know for the test. That’s fine advice if you want to get good marks, but it doesn’t help you grow. We have so many resources available now that you can learn pretty much anything you want. Why not use that opportunity to move away from the curriculum you got from school and learn something that interests you? We can all use the reminder. We don’t have to be in a class to learn something new. Giving yourself permission to learn something new is a powerful first step to growing much more than you thought possible.